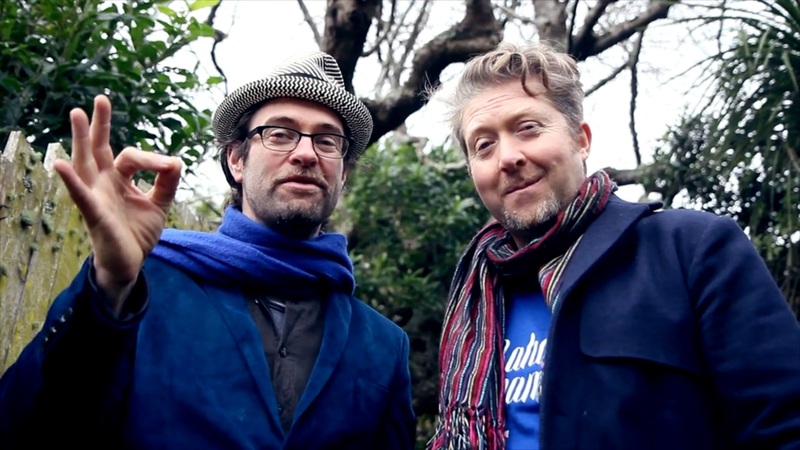 You may have already seen these two likely lads at a good time near you with their Solid Gold Sound System and Sausage Circus. But now they are getting really serious about Wellington having fun and are doing whatever they can to join other civil disobedients at the Global Playable Cities Conference in Bristol. Oh Jeepers! Who knows what ideas they will bring back to make us have a good time but they may need a hand first. Listen in. Or else. And if you want to have fun with Kelvin and Stephen and experience what their fun is like join them at the fundraiser party this weekend. This entry was posted in Arts & Culture and tagged Aro Valley, Cuba St., Festivals, Newtown by lauriestarfish. Bookmark the permalink.